"Some modders are making Morrowind in the Skyrim engine," they said. It's looking really good. And I listened to them, I did. But it wasn't until I saw these screens that I believed it. 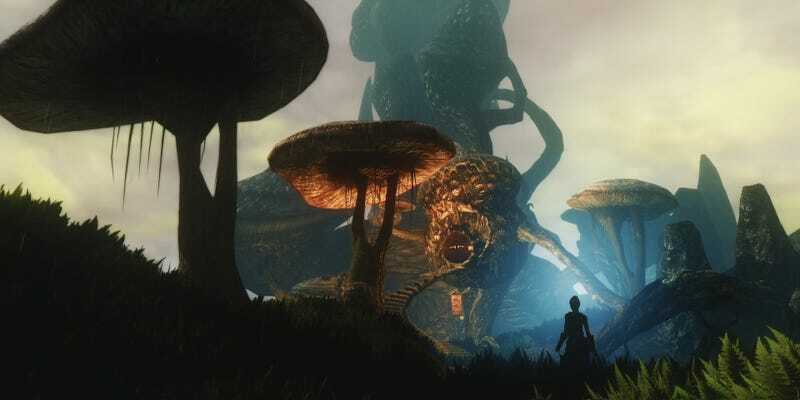 Screenshot master Duncan Harris of Dead End Thrills has been snapping shots of the Skywind project, and it is looking amazing. I'll just let you drink in the shots below, and if you want to sign up to help with the project, you can do so here. More shots as always over at Dead End Thrills, where Duncan has also been returning to his old stomping ground of Skyrim to post some amazing stuff.